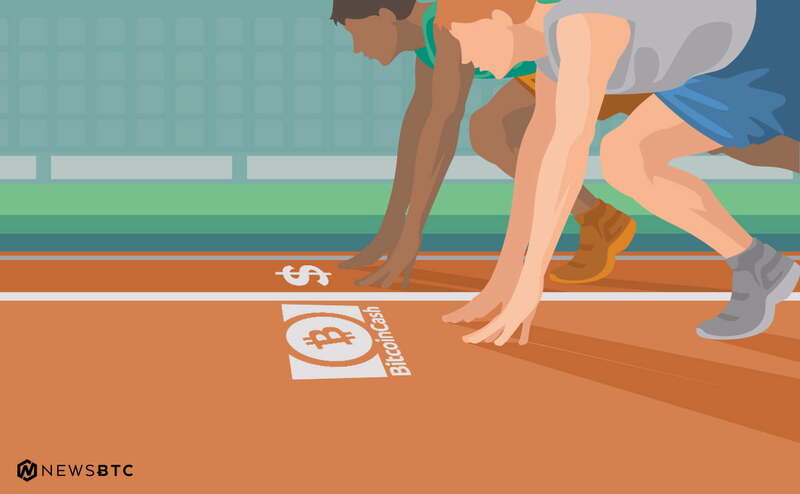 Bitcoin cash price is mostly trading in a range above the $2350 support against the US Dollar. There is a major contracting triangle forming with resistance at $2800 on the 4-hours chart of BCH/USD (data feed from Kraken). The pair has to move either above $2800 or break the $2350 support for the next move. Bitcoin cash price is preparing for the next break above $2800 against the US Dollar. BCH/USD has a good support on the downside at $2350. There were mostly range moves in bitcoin cash price this past week above the $2350 support against the US Dollar. The price dipped on a few occasions and tested the $2300 and $2200 support levels. However, the downside move was well supported with pivot as $2350. On the upside, the price struggled to break the $2700 and $2800 resistance levels. The last dip was strong as the price moved below the $2200 level and traded as low as $1999. Later, the price recovered sharply and moved back above the $2400 level. The upside move was decent and the price was able to close above $2500 and the 100 simple moving average (4-hours). Moreover, it is now above the 50% Fib retracement level of the last decline from the $2948 high to $1999 low. It seems like there is a major contracting triangle forming with resistance at $2800 on the 4-hours chart of BCH/USD. The pair may continue to trade in a range above $2350. However, it needs to break either the $2800 resistance or break $2350 for the next move. Above $2800, the price could accelerate above the $3000 level in the near term. 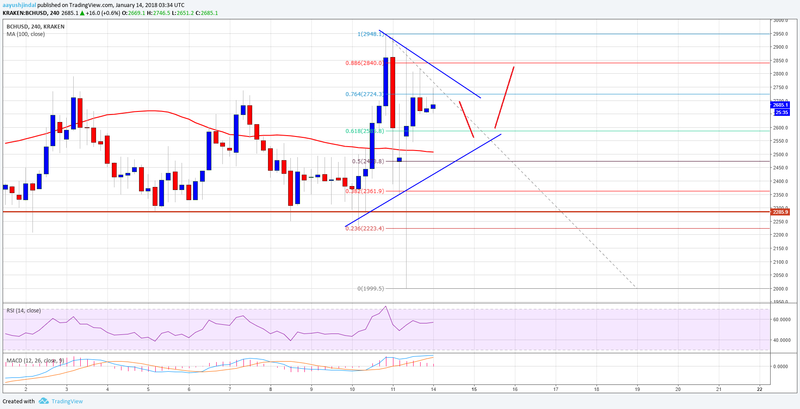 4-hours MACD – The MACD for BCH/USD is slightly placed in the bullish zone. 4-hours RSI (Relative Strength Index) – The RSI for BTC/USD is still above the 50 level.